Berkeley is originally from an individual with cancer who worked on a science project at Berkeley University, or so the legend goes. She is the fastest finisher I have and she produces incredible amounts of sugar. Outside she will get 14 feet tall with an eight foot diameter. Even the fan leaves and stems grow crystals. The high is a speedy, up type high. Don’t try to take a nap on this, and expect anxiety attacks if your hyper. Very good early but comes with a “warning” label for its rib breaking expansion characteristics. With this breed you can really get some stuff done. We use this strain to speed up slow, long varieties in our breeding program. It finishes in a whopping 28 days of bloom cycle. It is a South American sativa based land race plant. Description: The Amphetamine of Green! This strain is a upper,keeps you alert, motivaing, strong, morning tea, morning pain relieverand great for chemo. 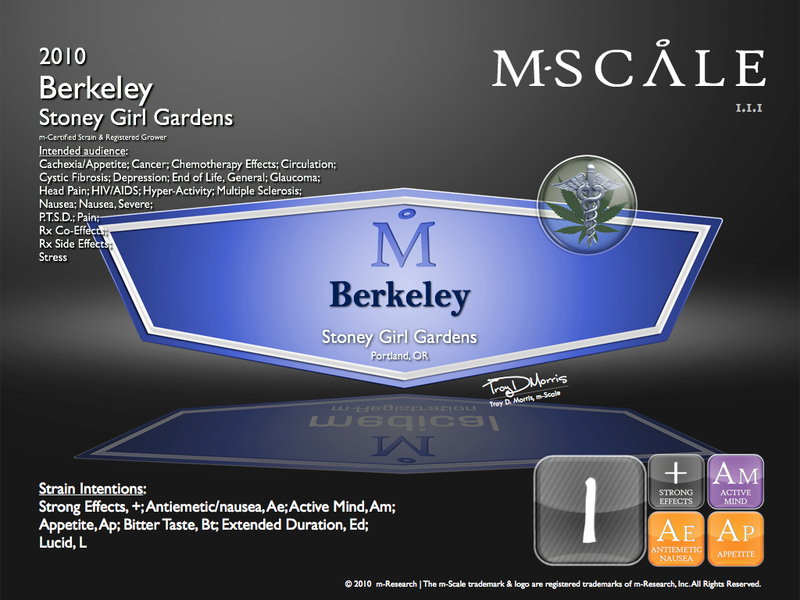 This is our flagship for breeding to create or shorten the grow cycle into our thirty-some, day strains. Mix this with any long term growing strain and you will cut the time in half to finish your new creation. Type of high: Upper, motivational, strong, creates anxiety. Great for Breakfast. Taste/Smell: Mild skunk, with a big bite under taste.Very neutral and pleasant. Background Information: Berkeley is originally from an individual with cancer who worked on a science project at Berkeley University, or so the legend goes. She is the fastest finisher I have and she produces incredible amounts of sugar. Outside she will get 14 feet tall with an eight foot diameter. Even the fan leaves and stems grow crystals. The high is a speedy, up type high. Don’t try to take a nap on this, and expect anxiety attacks if your hyper. Very good early but comes with a “warning” label for its’ rib breaking expansion characteristics. With this breed you can really get some stuff done. We use this strain to speed up slow, long varieties in our breeding program. It finishes in a whopping 28 days of bloom cycle. 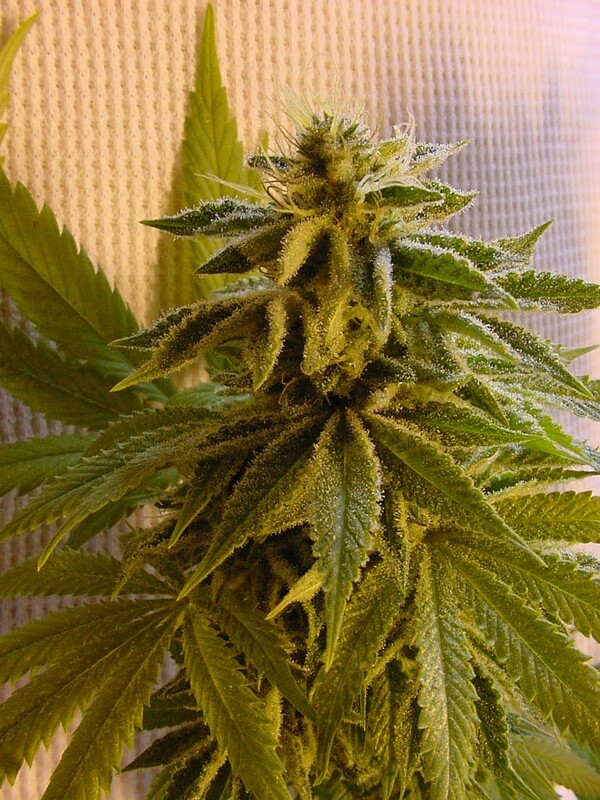 It is a South American sativa based land race plant. This comes from the high mountains down by the south pole where the summers are short. 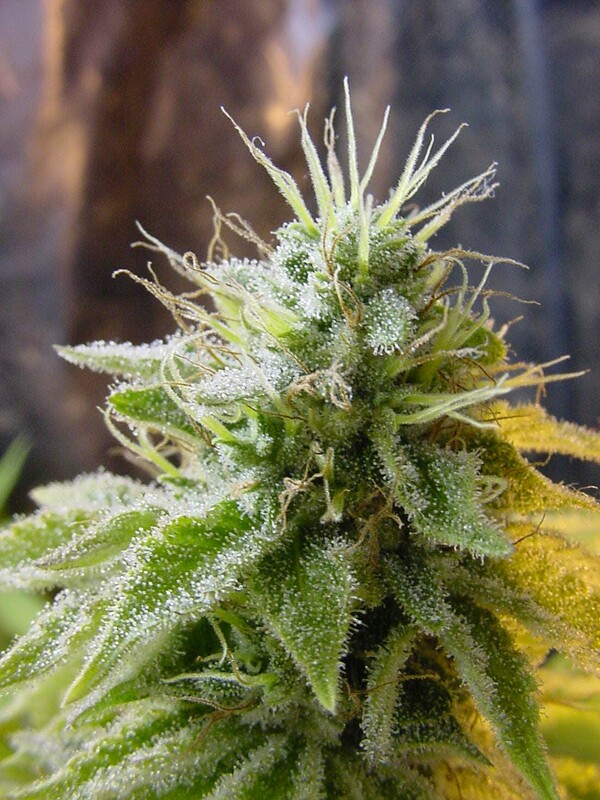 This plant produces above average trichomes and is very medicinal while being extremely fast. It was created (acclimated, stabilized and produced for propagation) by a cancer patient for himself. We carry on his flag and thank him for his work. He is one of many whom have made a difference for us all. A morning medicine that is great for waking and heavy pain. Effects will last 4-5 hours. It is very good for breaking up mucus and cleaning out lungs. Very Light flavor with very strong effects. Excellent for obtaining focus, waking up, being active, gaining an appetite, removing pain and nausea. Great for use in the morning time and or after chemo. This is the Mother of almost everything we make. We always start here.